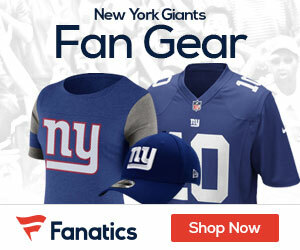 The New York Giants look to get back on track with a win over the hot Green Bay Packers. The Packers offensive line has allowed QB to get hit often. They’ve given up a ton of sacks, allowing Rodgers to be sacked more than any other QB in the NFL. And that’s with Rodgers’ quick release. The Giants will need to get after Rodgers in order to slow him down. Rodgers has thrown 27 touchdowns to just six interceptions. If the Giants want to win, they’ll do it the way they beat Rodgers last year — harassing him at all times. I hate making these general, I like to key in on the matchups, but this time I’ll make an exception. Manning hasn’t thrown a touchdown since the game winner against Washington. That was nearly a month ago. We all know about Manning’s struggles. Just a note, though: Manning has thrown for 1,290 yards, 10 touchdowns and one interception with a 68.1 completion percentage over his previous four games after the bye. Maybe a good sign? Will see. What is the best way to get a struggling offense going? Special teams. If Wilson can break a few and give the Giants good field position, it will make Eli Manning’s life a lot easier. When Wilson was getting 30+ yard returns, the Giants were clicking. He’s an X-Factor. Gabbers, what is your prediction for the game? I think the Giants are going to have their hands full even with Mathews out. I don’t like NY coming off the bye week playing at home. I think the Cincy game will show what kind of team they are. I’ve only missed one game in two years which was the Bengals game (glad I missed it). I think Kevin Gilbride needs to change up his routine. I would be finding ways to get Rueban and Wilson the ball more frequently during the game. I’d like an OC like Todd Haley…Eli’s had that dumbfounded look on his face again and I hope he can shake it off as his play for the last month has been subpar at best. With Nicks feeling better, I believe he will have a huge game. I wish Diehl would never play another down again. One last note, run the damn ball. Gilbride never sticks to the run long enough to keep the defense honest. Brown deserves more touches as he has better vision than Bradshaw. He waits for the blocks to occur rather than busting up the play like Bradshaw often does. We need a win and I know I’m pumped for the game. Go Giants! Thanks for your great articles. It’s good to hear from you. All valid points, however, I think without Woodson and Matthews, the Giants have the best chance they’ll have agains the Packers. Nicks is near full health and should be poised to have a big game. Will see! The Packers are on another roll. They had one game outright stolen from them (Eagles) and one that slid away from them with the bad luck of bad calls (Colts), otherwise they’d be 9 & 1. Even with Matthews and Woodson out they managed to patch things up enough to win. Rodgers has been hitting on all cylinders lately. If the Packer’s kicker decides to show up to work this week, they should eek out a win against the Giants. 31/24 Packers.